Over recent months there has been some hot “discussion” in the media about problems with rancidity in over-the-counter fish oil supplements. Even the New York Times has undertaken an investigation – going so far as to challenge the perception that fish oil capsules support good health. 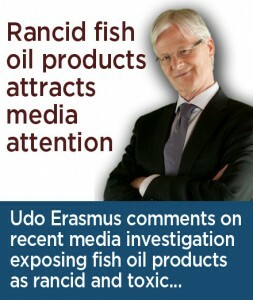 As the world’s leading expert on Essential Fatty Acids, Udo Erasmus has responded to the issues raised in the New York Times piece, and we believe it is a timely reminder for all our customers and wholesalers, that there are specific and significant reasons for consumers to choose plant-based alternatives (such as Udo’s Oil) to obtain the health benefits of additional Omega fatty acids. We are pleased that [the New York Times] has addressed the important topic of fish oils and oxidation and the unhealthy molecules it produces, as it doesn’t usually get the media attention it deserves – which is why we talk about it all the time! We specifically chose not to work with fish oils all these years because of the rancidity/toxicity concerns we had – AS WELL AS the environmental issues surrounding fish oils – and have instead chosen to work with plant-based oils. Omega-3 and omega-6 fats are known as Essential Fatty Acids, or EFAs. Both are essential for health and play key roles in various biological functions. Unfortunately, Omega fatty acids are highly sensitive to degradation from exposure to heat, light, and oxygen. Omega-3s are the least stable (most reactive) and degrade 5 times faster than omega-6s. Fish oil pills contain high concentrations of unstable Omega-3 oils (especially DHA) which makes working with them difficult. It is a challenge for a manufacturer to provide consumers with a fish oil product that has not undergone some kind of refinement – and therefore damage – from oxidation. The more refined an oil is — especially omega-3s — the more rancid, and therefore toxic the oil is. This is why [as exposed by the NYT post and other studies] many tested fish oils have been found to be rancid. 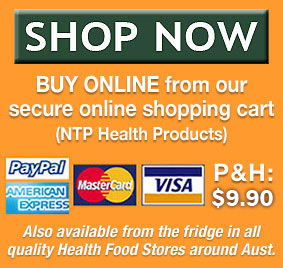 If you purchase rancid fish oils, you have invested in your own inflammation. Scary! Depending on whose numbers you believe, this could be the case for the majority of the fish oil pills on the market. We feel strongly that it is the responsibility of the manufacturer to understand their product, understand its nuances, and to offer something to the consumer which is not the opposite of what they say it is (healthy vs. unhealthy). We don’t want to bash fish oils. We want people to understand some of the complexities of oils and their sources. This is the main reason we have focused most of our work on plant-based sources of EFAs, including algae-sourced DHA. We also focused on blended oils because a pill of DHA doesn’t address the whole picture on good fats. And last, but certainly not least, we made Udo’s Oil Blend a 2:1 ratio of omega-3s to -6s to get more omega-3s into the diet and to correct the inflammatory effects of too many omega-6s that plague us today! Lots of information here, we know, but we hope that the time taken to write this response sheds some light on this important and sometimes confusing topic and is helpful to you and your families and friends!